The 32nd edition of BAUMA (the world’s leading sector event for construction machinery, building material machines, mining machines, construction vehicles, and construction equipment) comes back on April 8 to 14, 2019, in Munich, with a total exhibition space of 605,000 square meters to meet with customers from around the world. This event, that takes place every three years in Munich, presents the highest concentration of innovations. As the largest trade fair in our industry, it is a good opportunity to showcase new products and services as we demonstrate our customers the many ways that Terex works for them. 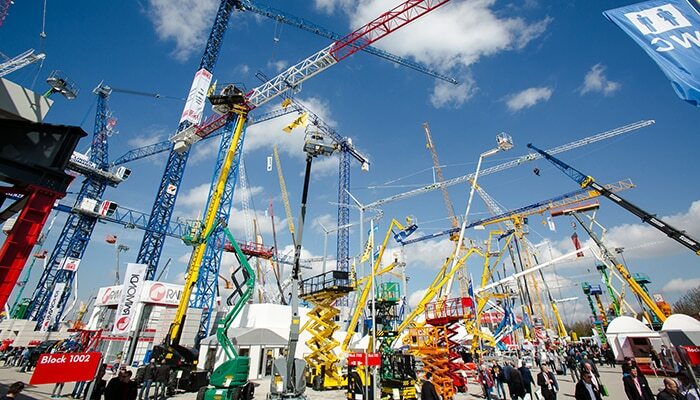 In 2016 BAUMA broke again all previous records, attracting a total of 3,425 exhibitors from 57 countries, and 583,736 visitors from around 200 countries. The biggest international network for construction machinery and equipment plays host to the sector at various locations around the world, providing a platform for all the latest developments and innovations in the markets. The core of the new design is the 3D BAUMA “b”, and a three-dimensional globe. In the center of the globe is the venue of the respective BAUMA event. In this way, individual success stories are told, oriented to the country in question. EWJI participates in the 8th PARKER Polyflex High Pressure Conference Less than a month to register on EWJI Forum 2019!